Your Invisalign dentist in Brooklyn talks to you about the Invisalign cost and investment you’ll benefit from when you rely on the process to straighten teeth without braces. Whether you need teeth straightening yourself or have a teen Invisalign need, your family dentist in Brooklyn offers Invisalign for teens and adults that come with little or no Invisalign pain. If you’re looking for a way to straighten teeth without braces, Invisalign is a great choice. 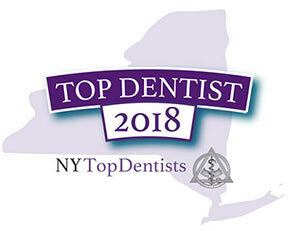 And your general dentist in Brooklyn also provides cosmetic dentistry services, so you don’t have to go anywhere else. Invisalign is an orthodontic method of teeth straightening that uses clear removable aligners. 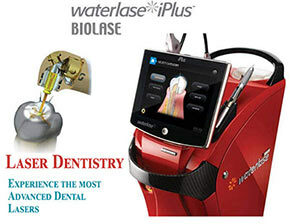 You’re able to see your teeth improving without the discomfort of braces. Invisalign aligners are practically invisible. There’s a good chance that other people won’t even be able to tell that you’re wearing them. Unlike braces, you can remove the aligners to eat, drink and brush your teeth, as well as for special occasions. Whether you’re an adult or teen, Invisalign allows you to improve your smile without the discomfort of braces. Your Brooklyn dentist begins your treatment by examining your teeth to confirm that Invisalign is a good treatment option for you. A consultation with your Invisalign dentist includes a discussion about the Invisalign cost and any other questions you may have. Your cosmetic dentist in Brooklyn may recommend that you have a dental cleaning before treatment begins. A digital scan is taken of your teeth to create a 3D model, and you’ll be able to see an animation showing how you straighten teeth without braces. Using the 3D model of your teeth, your unique clear aligners are created specifically for you using flexible plastic. The Invisalign aligners are designed to fit snugly while applying the appropriate amount of force, according to your treatment plan. You change the aligners every two to three weeks. Throughout the process, your NYC Invisalign dentist follows your progress to make sure you have a comfortable fit. When you straighten your misaligned teeth using Invisalign, pain or discomfort is a possibility. Some people report they have no pain, while others experience tenderness or feelings of pressure, sometimes just on one or two teeth. Normal pressure means that your treatment is working and your teeth are beginning to straighten. When you switch to a new set of aligners, you may experience some pain because the pressure is greater, but the pain usually lasts only for a few days. Switching aligners at bedtime may help to reduce the amount of discomfort you experience while you’re awake, and over-the-counter pain medicine relieves any mild Invisalign pain. The length of time needed for treatment varies from one person to another, depending on how complex your orthodontic problems are. It also depends on whether you wear the aligners as instructed — 20 to 22 hours a day. For most people, Invisalign treatment takes 12 to 18 months. This compares well to the duration of treatment with traditional braces. As with braces, your Invisalign dentist may recommend that you wear a retainer for a period of time after treatment is over to maintain your new smile. The teen years are stressful enough without feeling self-conscious about braces or worried about popcorn getting stuck between your teeth, even with clear braces. Teen Invisalign wearers get a way to straighten teeth without problems associated with brackets and wires or wanting to hide their smile. Invisalign for teens is designed with blue compliance indicators so parents are able to make sure teens are wearing them as directed. With all the advantages of Invisalign, teen Invisalign wearers have the motivation to stay with the program. Otherwise, they have to wear them longer. Invisalign is a great tool to straighten teeth without braces, but there are some risks involved. You may experience some discomfort in your teeth or gums. Occasionally, your local dentist or best dentist in Brooklyn sees an allergic reaction to the aligners. It’s rare that a tooth sustaining nerve damage, but it can happen, particularly if the tooth has been damaged previously. This situation can lead to the need for a root canal or extraction. 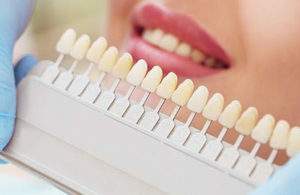 Fillings or crowns may be dislodged during treatment. Do you have any questions about the Adult, Teen Invisalign in Brooklyn? 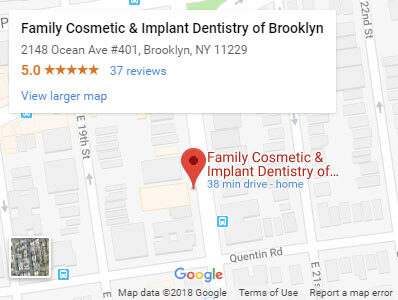 For more information or to schedule an appointment with the best rated invisalign dentist in Brooklyn Dr. Khabensky DDS of Family Cosmetic Dentistry of Brooklyn? Please contact our dental clinic for consultation with the invisalign dentists Alex and Igor Khabensky DDS.